SK Hynix, one of the few memory/NAND manufacturers with their own fab, recently announced that they’ve begun mass production of their 2nd generation 16nm, 64Gb (Gigabit, not to be confused with Gigabyte) MLC NAND flash. Their first generation 16nm NAND flash has already been in mass production since June. The 16nm process is currently the world’s finest MLC NAND fabrication process with competitors such as Toshiba/SanDisk at 19nm, Samsung at 19nm, and IMFT at 20nm. SK Hynix is using their latest Air Gap technology to overcome cell interference issues associated with such an incredibly fine fabrication process. SK Hynix is also announcing that they’ll begin mass production of 128Gb 16nm MLC NAND beginning early next year, and they’re hinting at the development of both TLC (Triple Level Cell) and 3D NAND, which should make SK Hynix a formidable force in the NAND flash market. 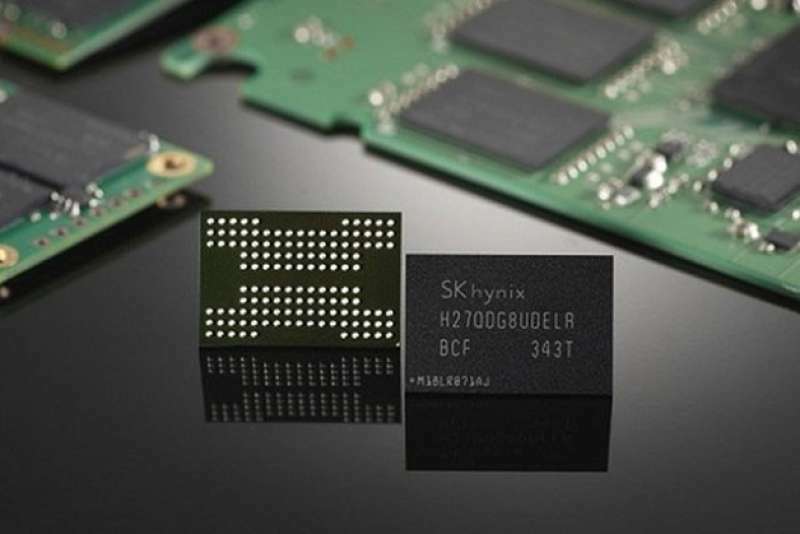 SK Hynix Inc. announced that it has started full-scale mass production of 16nm 64Gb(Gigabit) MLC(Multi Level Cell) NAND Flash, which uses the industry’s thinnest process technology. SK Hynix has been mass producing its 1st version of the world’s first 16nm NAND Flash since June and recently has started to mass produce the 2nd version which is more cost competitive due to its smaller chip size. In consequence, the Company geared up for strengthening its competitiveness in NAND Flash. Also, the Company has developed 128Gb(16GB, 16Gigabytes), the highest density in a single MLC chip, based on the specification and endurance of 16nm 64Gb MLC. The product is planned to be mass produced from the beginning of next year. Generally, the thinner process technology shrinks the more frequent interferences among cells occur, but SK Hynix applied up-to-date Air-Gap technology to overcome the interferences among the cells. The Air-Gap technology builds insulation shield with vacuum holes(Air) between circuits not with insulating substances. “After the Company developed and started to mass produce the industry’s thinnest 16nm product then now prepared high density NAND Flash product portfolio thanks to the development of 16nm 128Gb MLC”, said senior vice president Jin Woong Kim, the Head of Flash Tech Development. “The Company plans to actively respond to our customers’ demands with the NAND Flash products which have high reliability and endurance” he added. SK hynix will strengthen its competitiveness in NAND Flash solution while accelerating the development of TLC(Triple Level Cell) and 3D NAND Flash.